Are you looking for the SLIMMEST FIT of any dual layer case with a kickstand? If so then look no further than the SURFACE case. The case comes in a big cardboard box with a cutout so you can see the beautiful case and a flap to cover about 2/3 of the front. 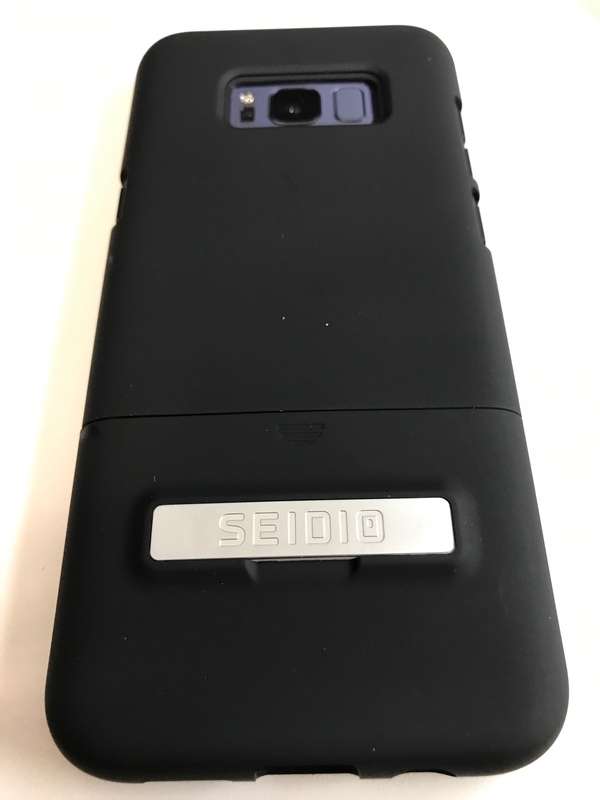 You can buy this case both with and without the kickstand, although, SEIDIO charges a lot for the kickstand separately, so, I would strongly recommend that you buy the case and kickstand together if there’s even the slight chance that you will use it. 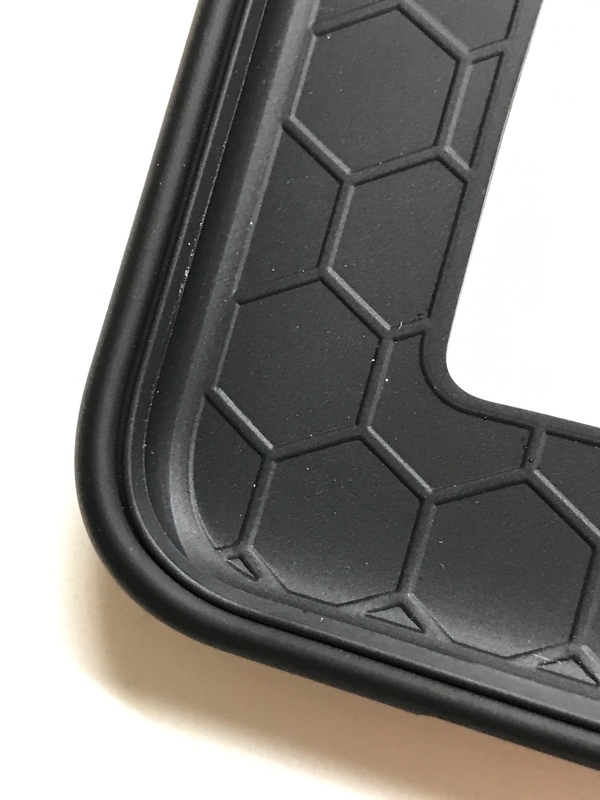 This case is offered in black, blue/gray, red/black, and tan/black. This case has a dual layer design, with an inside layer being TPU, and the outside layer being polycarbonate. Additionally, it has a Hexguard Technology on the inside of the TPU layer which adds more shock protection in the event of impact. It should be noted that the face has a small lip, which doesn’t give a lot of face drop protection. 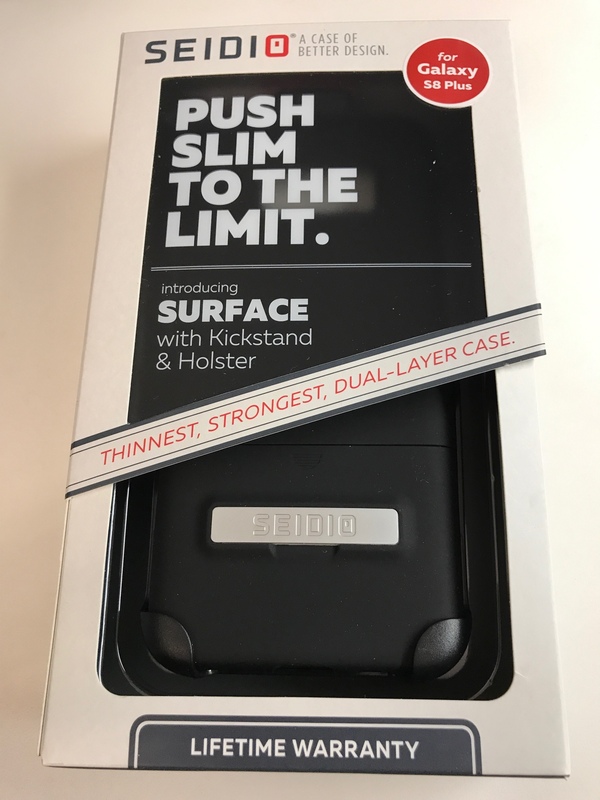 This case doesn’t have a certified drop rating like the SEIDIO DILEX case, but it is also much slimmer and lighter, and should be adequate for most people using it for normal situations. The overall thickness of the case is just 2mm, which is the slimmest fit of any dual layer case. 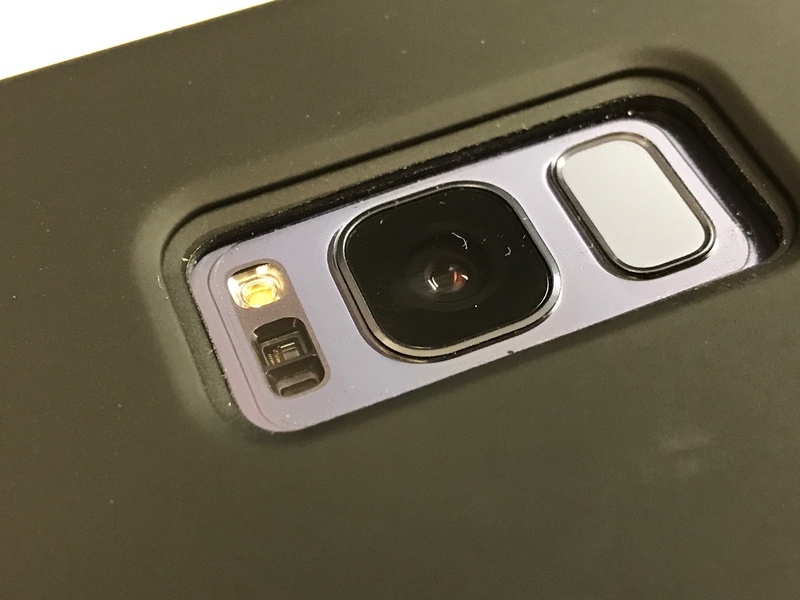 On some dual layer cases, the second layer doesn’t cover certain portions like the corners, but this is a true dual layer case, with both layers covering the entire phone. 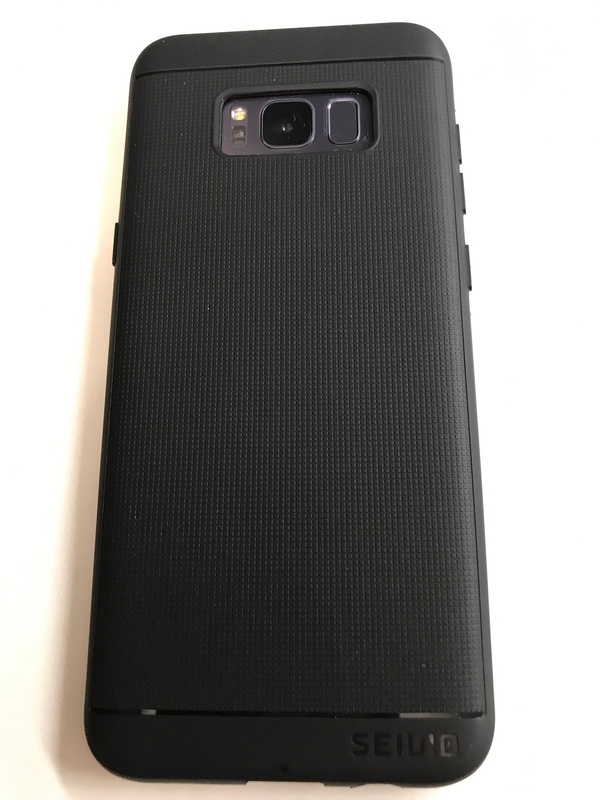 What’s somewhat unique about this case is that you can use the inside TPU layer as a slim TPU case in and of itself. 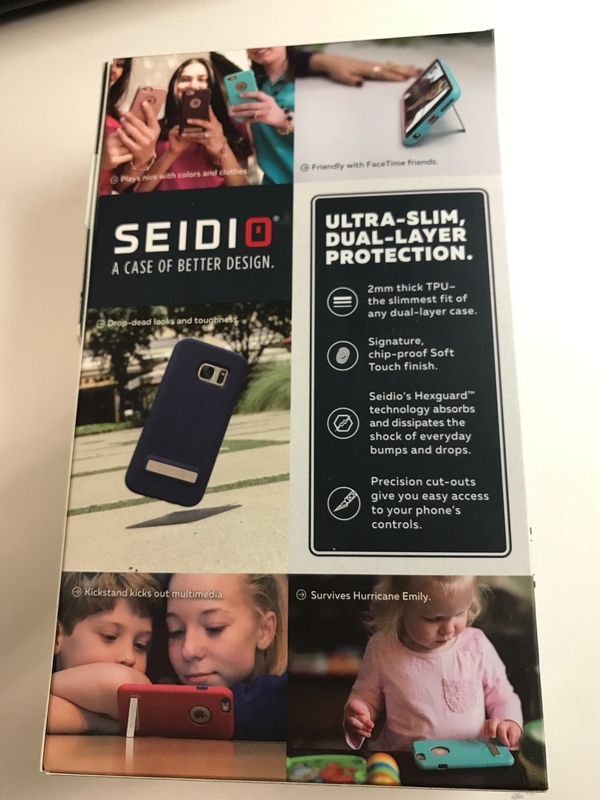 I should be clear that while most dual layer cases can be used with just the inner layer, SEIDIO actually designed this case in such a way that it actually looks like a standalone case. This could be nice for those who just need a very light duty case sometimes, and a case with more moderate protection at other times. And, the outer polycarbonate shell can be removed without removing the inner TPU case! The case feels comfortable in hand, and I was able to rest my pinky finger under the fps, which makes it a little more secure against slipping out of the hand. The exterior of case itself provides a little grip, and has a soft-touch coating. The SURFACE case features a zinc-alloy magnetic kickstand for multimedia viewing in horizontal mode only. The kickstand sits in a slot when closed, so it won’t snag on anything. It does require a significant force to open, which is good so it won’t accidentally open if it snags on something. All the holes and buttons are well aligned, and require a moderate force to press, so as to help avoid accidental presses in the pocket. The buttons are in the inner layer, and are slightly recessed from the exterior surface. The holster is secure, yet I am still able to remove and holster my phone with one hand. You can holster the phone vertically, horizontally, or virtually any angle that you may desire. This holster does not have any lock mechanisms, however, the SEIDIO DILEX holster does have locking mechanisms, should you need that feature. inner/outer components and the belt holster really show they are listening to what the customers are saying. I just got the Blue/Gray version. It's pretty good, but as I mentioned elsewhere, the soft touch outter doesn't feel as good as older surface cases did, imo. 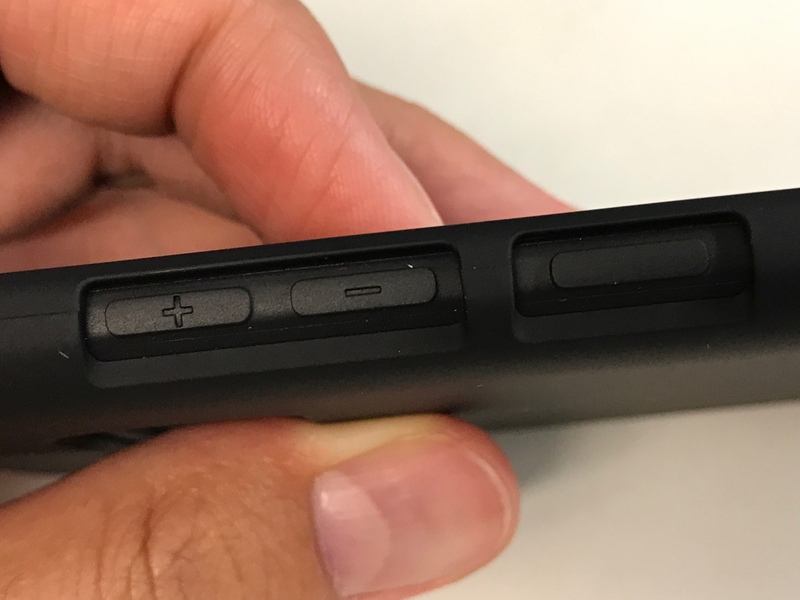 One downside of the kickstand bumpout is that while the phone lays stable on a flat surface, you will flip the phone up a bit when you press hard enough to activate the screen by hard pressing the home key "area." 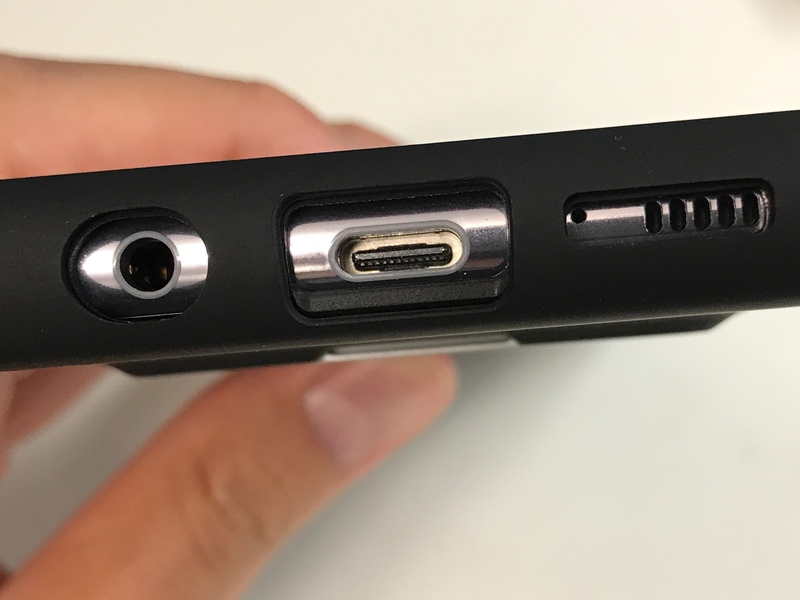 Another downside is that the USB C to USB A adapter that ships with the phone will not work with the case on, although I'm guessing the same issue happens with all but the most slim of TPU cases. Does anyone know if any usb c cables work with this case on?